Once again, Mattoon provided us with a very unique fly-in experience. As you recall, the first year the event was held, 2000, a huge storm blew through the area on Friday that threatened to pick up the entire airport and deposit it somewhere near the shores of South Carolina. When the storm cleared on Saturday, we commenced to aviate. Last year, with wringing hands, Keith Welsh let Terry Crouch fly his Quickie to test the differences between the GU and LSI canards. Terry's successful flight revealed the subtle and obvious handling differences between the two Quickie versions. (You can read Terry's observations in Q-Talk issue # 89.) Not to be outdone, this year we had the unique experience of "Mattoon 3D" (best said in a loud booming voice). There's something about the third event that screams 3D. Movie three-quals like Jaws 3D and Friday the 13th, Part 3D couldn't resist and neither could this Mattoon. No, we weren't walking around wearing those funny glasses and dodging images of airplane parts floating through the air. We were lucky enough to experience our own version of 3D. 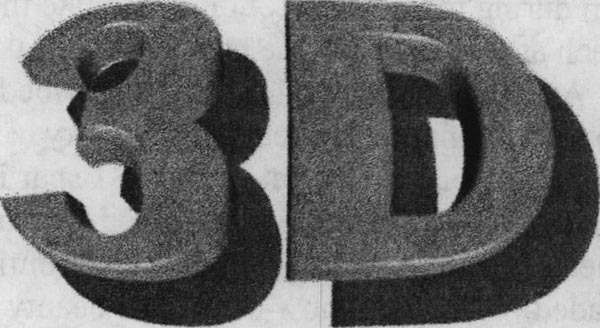 This "Mattoon 3D" (big voice again) was "Doyle Disassembles & Discusses". While all the Quickies at the event removed their cowling, Jim Doyle stepped it up a notch and said ,"BAM! I'm taking off my tail!" This revealed a host of clever ideas and modifications. Now we will describe the scene. Jim suspended an auxiliary fuel tank below the main wing to extend the range of his C-85 powered Tri-Q. He installed a fuel filler port just forward of the split line and to the right of the centerline. A gravity feed line was plumbed to the main seat tank with a shutoff valve mounted above the center console on the lower seat back bulkhead. He used a very simple but effective fuel level sensor installed in the tank. 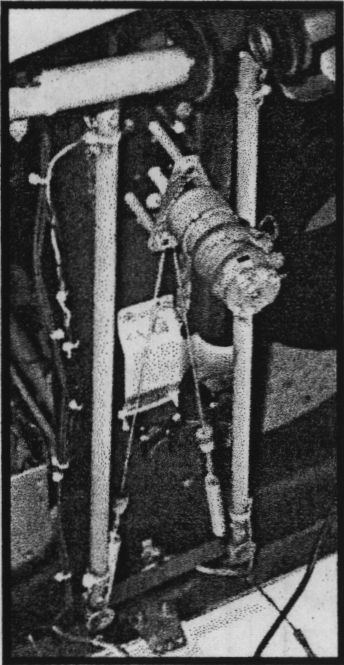 Consistent with the FAA guideline that each fuel cell must have an accurate way to detect when the tank is empty, Jim implemented a thin rod arm with a float attached to the top-aft aux tank bulkhead. He also installed a magnet on the float end of the arm so the magnet rests against the lower aft bulkhead of the tank when empty. Jim removed foam from the outside of the aft bulkhead where the magnet rests when empty to allow for a glass-to-glass area. 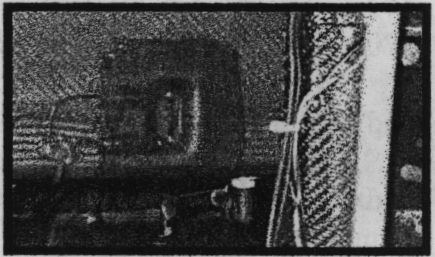 He then mounted a reed switch on the outside of the aft bulkhead in the glass-to-glass area to be influenced by the floating magnet. 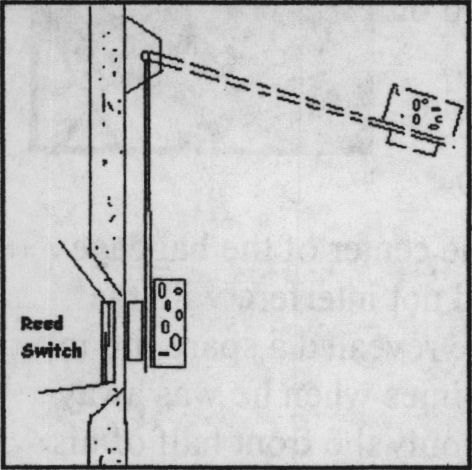 A reed switch is a simple device with two very thin pieces of metal in a glass tube similar to an old style fuse. As the fuel empties from the tank, the float lowers until the magnet rests against the inside of the aft bulkhead. The reed switch on the outside of the tank reacts to the presence of the magnet by the two thin pieces of metal touching which completes a circuit for the "Aux Tank Empty" light on the panel. Jim also devised an elegant solution to a problem all Tri-Q builders face. According to the plans, a bulkhead is installed aft of the seat back bulkhead to support the bushings and two main bolts that hold the gear in place. A triangular shaped stiffener is added between the seat back cutout and the new bulkhead for strength. Once in place, it is very difficult to route wires and rudder cables in that area. Jim's solution was to mount a 1" diameter PVC tube passing between the seat back bulkhead, concealed by the left armrest, and the new Tri-Q bulkhead. This PVC tube becomes a conduit for passing wires between the fore and aft compartments. Jim described for onlookers the electronic reflexor and aileron trim devices he designed. Both systems utilize geared 12v electric motors that can be directed to run in clockwise or counter-clockwise directions. 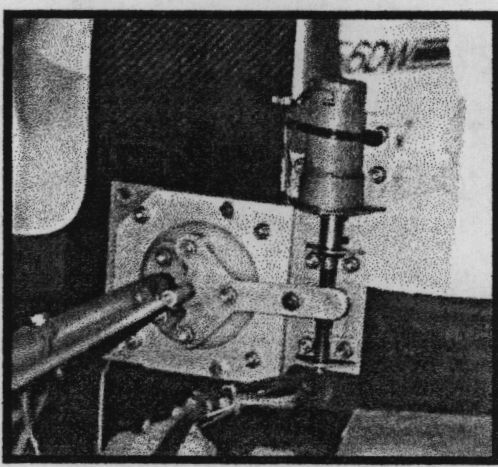 Turning a worm drive raises and lowers an arm connected to the aileron puck-shaped bearing that reflexes the ailerons. The aileron trim system uses a string and spring arrangement connected to the aileron bellcrank. The geared motor fits between the two vertical aileron torque tubes and above the aileron bellcrank. Bullet-shaped wooden beads mounted on the strings near the springs activates limit switches to keep from over-biasing the trim system in either direction. Jim showed the cover he made for the center of the baggage compartment so shifting items would not interfere with the action of the ailerons. In addition, he revealed a spare tire in the baggage compartment for those times when he was away from his home airport. He flies with only the front half of his nose gear wheel pant because Jim theorizes that the long length of the complete wheel pant is susceptible to weather-veining when in a crosswind condition. After dissecting Jim Doyle's plane, another builder snooped out a great tip built into Terry Crouch's Quickie. While Terry did not take credit for the idea, his implementation is certainly on par with his award-winning airplane. Quickies, Q2's, Q200's and Dragonflys share a rather unique distinction. This design is one of the few in aviation where one of the major lifting surfaces also doubles as the landing gear. With the exception of the occasional hard landing or hitting bumps during the taxi process, the canard is under more stress when it is on the ground than during most flights. Some estimate this could be as much as 2 to 2.5 g's. The constant load takes a toll over time. As a result, many pilots have described ripples on the top of the canard. 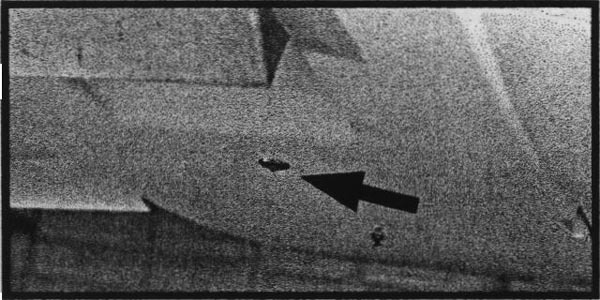 To prevent this, Terry mounted an aluminum hard point below his LS1 spar in the center of the fuselage. The Quickie is hangared with a small jack under this hard point, raising the center until the canard is unloaded. Now you know one of the beauty secrets of his exceptional Quickie. Now let's move on to the stats for those who like to keep track of that sort of thing. We had two beautiful Quickies, piloted by Terry Crouch and co-host Keith Welsh. Of course, Mr. 3D himself, Jim Doyle, flew his Tri-Q2xx with a C85 engine. To round out the participants, co-host Steve Laribee taxied his Limbaugh powered Dragonfly Mk II. Over 35 interested builders and family members attended on Saturday. Builder, Kevin Boddicker, had plans in hand asking detailed questions about aileron installation. Kevin also brought a couple sections from the center of his main wing. 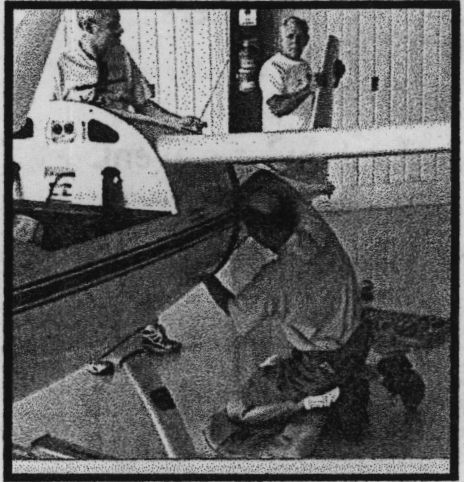 Terry Crouch inspected his plane some time ago and detected a significant flaw in the main wing. In an attempt to create a path for running lights and strobe wires, the previous builder hot wired a 1 inch hole the length of the wing about 4 inches aft of the leading edge and about .25 inches up from the bottom surface. Kevin is now rebuilding this wing and mounting wires along the spar caps like most builders. 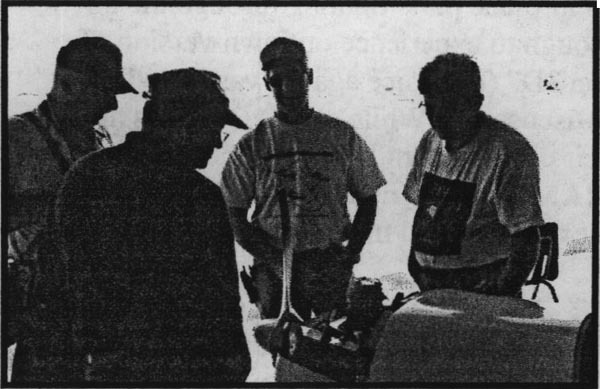 All in all, Mattoon 2002 was very much a builder's event. Everyone had a chance to ask their questions and leave with a better understanding of what is needed to complete their projects. We are indebted to those who brought their Q's to the event, especially for allowing us to inspect their planes so thoroughly. We also want to extend our thanks to Keith Welsh and Steve Laribee for their time and efforts in hosting the fly-in. Susie and I are looking forward to next year's event! FOR SALE: 22.6 hp Onan (118 hrs), Q1 instruments and parts. (Donated rest of plane to children's museum.) Best offer. Ted Kibiuk, NY (315) 896-2004 after 8:00 p.m.
To learn more about this beautiful Limbach powered Q2 built by Robin Nash, read his story about a "short flight" on page 8. Find out how it is possible to look too cool flying a Q. You can order a printed copy of Q-talk #93 by using the Q-talk Back Issue Order Page.